Beautiful building, great breakfast, room was perfect. The Castle Hotel is central for everything. 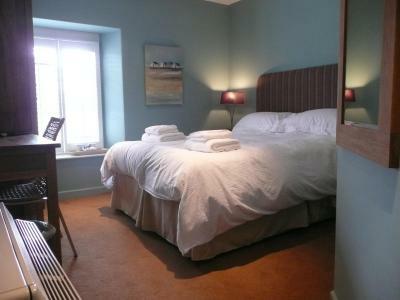 Lovely rooms , cosy and clean, and the best breakfast ever! Staff are always helpful and approachable. 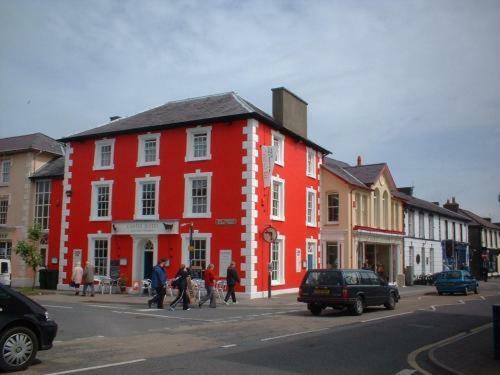 Aberaeron is a beautiful little village , I have spent many happy holidays here. 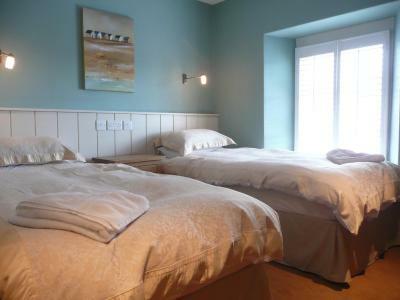 Friendly helpful staff, great Welsh breakfast, dogs allowed in room, good location. 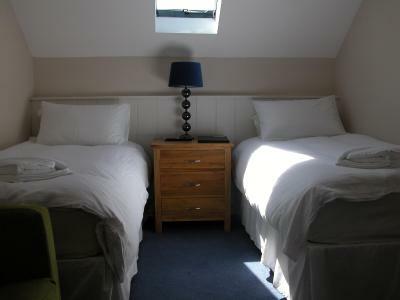 The room was very clean and tidy and the bed was comfortable. The staff were friendly and the cooked breakfast was good. Castle Hotel This rating is a reflection of how the property compares to the industry standard when it comes to price, facilities and services available. It's based on a self-evaluation by the property. Use this rating to help choose your stay! One of our best sellers in Aberaeron! Centrally located within the beautiful Georgian harbor town of Aberaeron, this hotel offers traditionally decorated rooms and a fine selection of drinks from its bar. Wi-Fi is free in public areas. 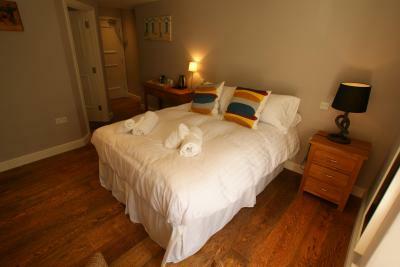 Your accommodations at the Castle Hotel will be in a well-appointed room with en suite shower room. 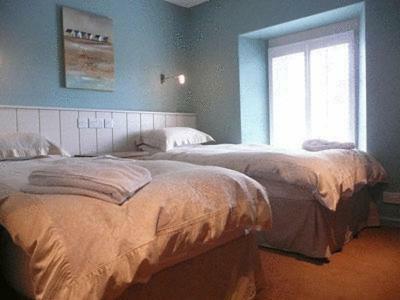 Rooms have rustic decor and feature a hand-made tapestry from a nearby woolen mill. 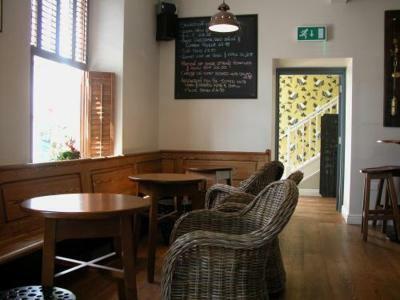 The hotel’s bar offers all the warmth and charm of a traditional Welsh inn. The apartment has a family bathroom and a kitchen lounge/diner. Patio doors lead onto a balcony. There is free Wi-Fi in this apartment. House Rules Castle Hotel takes special requests – add in the next step! Didn't like having to check in with luggage at the bar when it was very busy. Room not so clean top of headboard very dusty. Extractor in the bathroom when turned on dust fell out all into the sink. Room also had a slight smell not a fresh smell. Service at breakfast.....very poor....waitress hardly spoke. Asked for hot water 3 times n wad brought more coffee 3 times instead ??? Never asked once was everything ok with breakfast. We had to request sauces. Just not good enough really . Room was warm, couldn,t open the window but a fan provided. If you are looking for peace and quiet this is not the place to stay. We were disturbed by noise from the traffic as the hotel is situated on a busy main road which goes through the town and from the sound of loud music in the bar area which was directly below our room. The shower cubicle was very small and the custom made clothes hangers were poorly designed, some were too small and the clothes just fell off and the wood on others had started to splinter. The breakfast room was very small and the wicker chairs were uncomfortable. This was our second choice of hotel as the hotel that we had booked to stay in had recently closed and at short notice this was all that was available. In our opinion the hotel is over priced and over rated. We will not return. No area set aside for checking in or out, all done whilst making and serving coffees etc. 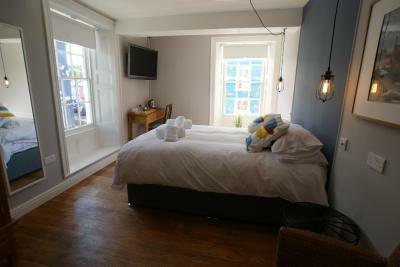 Rooms newly refurbished, bedding excellent. Bottled water replenished daily and tea making items. Breakfast cooked to order. I requested an extra large double bed as this was offered for the price but we had a small double. Wasn’t keen on the sausages at breakfast but the other ingredients were good quality. Fire alarm went off three times - first time at around 8am and no staff were around to say there was nothing to worry about. Staff were lovely and the location was perfect.